At various places in the US, the invitation or even the demand to unionize becomes more and more common. Well visited Labor Notes Conferences, the Fight for 15, the IWW at San Francisco’s Whole Foods Markets — after decades of attacks on workers rights, mendacious campaigns under the label of “right to work“ and an unshakable belief in the free market — eventually there seems to be a shift in society, a change in the understanding of workers rights and a growing wish to take back the workspace, collectively. A look at the countries with stronger (or more steady) histories of labor movements shows, that the existence of strong unions directly correlates with gains of income for the majority of workers. A short overview over some European countries shows the direct relation between strike-days (the possibility to strike without losing the job usually depends on a union structure) and inflation-adjusted income increase. The list of countries also shows, that there is barely a relation between the absolute growth of a country’s economy and increase of income. The list is led by economically stable Denmark (157 days of strike and 19% income-increase) followed by France (93 days, 9,6 % increase) and the crises-ridden Italy (75 days, 7,5 %) and Portugal (24 days, 2,9 %), The loser in this this is Germany (4 days, – 0.8 %) that insists on having a very stable economy, not mentioning, that its economy is built on the backs of workers that struggle to survive financially. Especially Germany, where the economy survived the financial crisis of 2008 without major damages and where unions are traditionally a strong force in political as well as economic debates, the inflation-adjusted incomes barely has grown since the new millennium. So, what happened? A huge problem became visible during the current fight of the relatively small union of train conductors (the GDL). In a country, depending on public transportation like Germany, this group of workers is in a fairly powerful position. Their strike effects pretty much everyone, both employees who need to get to work by train and employers who need their employees in time. Even people who usually take the car are stuck in traffic jams, because the streets are simply not planed for such a big amount of drivers. Factories need raw material to produce, and stores need to fill up their shelves – but more than 20 % of Germany’s freight traffic depends on rail. As a result of this infrastructural concept, only 3 full days of strike would have been enough to lead to a shortage at various gas stations all over the country. 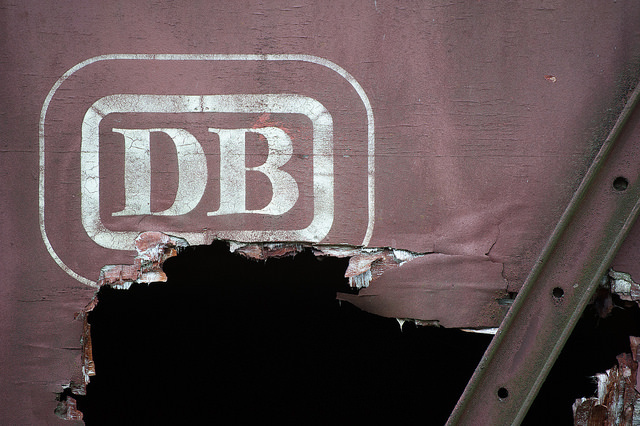 The damage to the German economy was estimated to be as high as 100 million EUR per day (124 million dollars) plus the same amount for the train-company “Die Bahn” during the four days of strike. This imbalance led to various short strikes (between 6 hrs and 2 days) in 2007 and 2008, during which “Die Bahn” tried to confront the union in court, instead of finding a solution at the bargaining table. After loosing the case in various court-levels, the employer finally gave in and agreed to an income-increase of 11% bonuses for the workers and 40 instead of 41 working hours per week. This was one of the highest wins of a union in a long time and led to a wave of new members, that were tired of wage agreements that mirrored nothing but the inflation rates, negotiated by their unions. Big Unions and Poor Workers – What Went Wrong? Whereas the result of the strikes in 2007 and 2008 are clearly a win for unionized workers, the reaction of the company – trying to illegitimize the union and even their demands in court – was clearly a bad sign for future labor disputes. This strategy has been perfected for the current strike in 2014. Not only did the company sue the union again, trying to illegalize their fight for better working conditions, they additionally started a media campaign declaring the strike as an attack against the general public. Even more shocking than the reaction of the company was the general support that “Die Bahn” got for their strategy. Bild, one of Germany’s biggest “News”papers picked up the campaign, published the telephone number of the head of the union and suggested their readers to tell this “maniac” “their opinion.” The newspaper picked an argument of Die Bahn and declared that this strike is not about working conditions but rather about the power-hungry head of the union. Other – more serious – media described the strike as excessive, unfair, stupid and as an overuse of the right to strike. The most problematic position was taken by the Confederation of German Trade Unions, DGB, that declared the GDL too small for negotiations – somehow, they forgot to mention in that press release that unions in the DGB lost a fair amount of members to the currently more successful GDL. At this point (between the 3rd and 4th of November) the government interfered in the conflict, even though the regulations are very clear “collective bargaining is autonomous.” That is (or used to be) the holy grail of German labor law that even averted any kind of minimum wage regulations in Germany over decades as an attack against the unions. Andrea Nahles, federal Minister of Labor from the Social Democratic Party (historically known as the “workers party” as well as for their betrayal) started fighting for a new law that basically limits the right to negotiate to very few, big unions. Supported by employers as supported by the DGB, were the very few and big unions are united. The autonomy of the bargaining parties is given up by Germany’s biggest unions, to prevent some worker they do not represent from fighting for their rights. This is clearly a new ‘low’ in the German workers rights debates. The fact that big unions united to attack a small union’s success made very clear, that the function of a union in Germany seems to increasingly act as the “opium of the people”, a way to legitimize anti-labor regulations by using the face of a union-head to represent them. A way to regulate strikes by letting the unions go through long and tired voting processes before allowing any kind of action. A bureaucratic monster that eats any kind of unrest, provoked by a constant deterioration of working conditions. This development was also made possible by media reports that attacked the strategy to strike as an action against customers and, in the case of public transportation, an action against society. Attacking the leader of a union as power thirsty, unreasonable, unfair, or plain stupid creates an atmosphere in which labor rights can be openly attacked. It took the German media a while to find other “enemies” – such as the general idea to privatize public infrastructure or an employer who overworks and underpays its employees. A union only functions in a national frame and it is bonded to the regulations the state offers. The bureaucracy of some of the established unions prevents the workers from a good amount of activism. A strike on the other hand is a strong tool for every worker that can be used only by an organized group of people and for that, a union offers a good amount of protection. Therefor unions are constantly struggling between the limits and the help that the state’s frame offers them. It is this “everyone against everyone else” mode of action that now even dictates the communication between different unions, orchestrated by media reports that are delivering arguments to one or the other side. While the representative bodies of the workers are fighting over influence, “Die Bahn”, together with the government, works on the limitations for future workers demands. Because even if the numbers show income increases benefit the economy as a whole, each individual company tries to keep its wage costs low. Dr. Lucien van der Walt reminds us that “Union poitics remain central to the new century… because of the ongoing importancce of unions as mass movements, internationally, and because unions, like other popular movements, are confronted with the very challenge of articulating an alternative, transformative vision” . If this is so, the current union struggle of the train conducters shows us that even though unions can function as emancipatory currents, they can also funciton to hinder any road to freedom. Therefore, criticizing a union is essential to its function, but the critique should be aimed at its acceptance of neoliberal doctrine. Not at the workers’ demands for better working and living conditions. This entry was posted in Economy and tagged labour rights, strike, unions by conjuncture magazine. Bookmark the permalink.